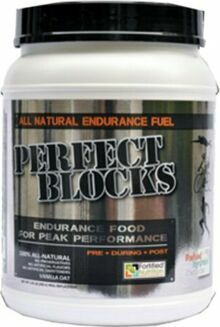 Build your health on strong foundations with Perfect Blocks, the clean and natural food supplement for both athletes and health enthusiasts. Perfect Blocks provides enduring energy with a scientifically derived formula of whey and soy protein with balanced carbohydrates and fats. You don't just get protein- each serving contains 24 essential vitamins and minerals, pre-and pro-biotics to aid digestion, soluble and insoluble fiber to satisfy hunger, AND substantial amounts of essential amino acids and branch chain amino acids (BCAAs). Honey Vanilla Oat flavorIncrease metabolism and promote excess calorie burningBoost your immune systemReduce cholesterolNo sugar, artificial flavors, or preservatives These statements have not been evaluated by the Food and Drug Administration. This product is not intended to diagnose, treat, cure, or prevent any disease.